Reasons to be cheerful? I can think of at least three. 1. 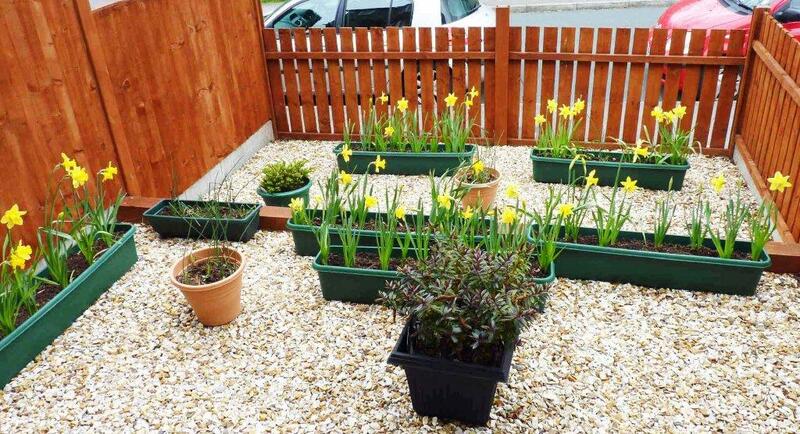 Look at the lovely daffodils in my garden. This year they survived a covering of snow. But now spring is here! 2. I’ve passed my tenth speech, the one they call the Masterpiece at my speakers club, which means I qualify for the ASC Certificate of Achievement. I spoke about the suffragettes, particularly Leonora Cohen, a Leeds suffragette. 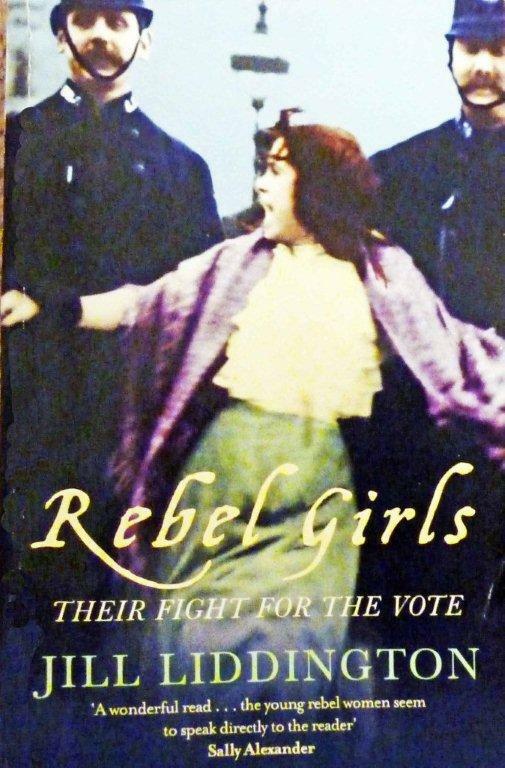 I’ve been enjoying learning about this fascinating piece of history from a book called Rebel Girls by Jill Liddington, which is about Yorkshire suffragettes. 3. 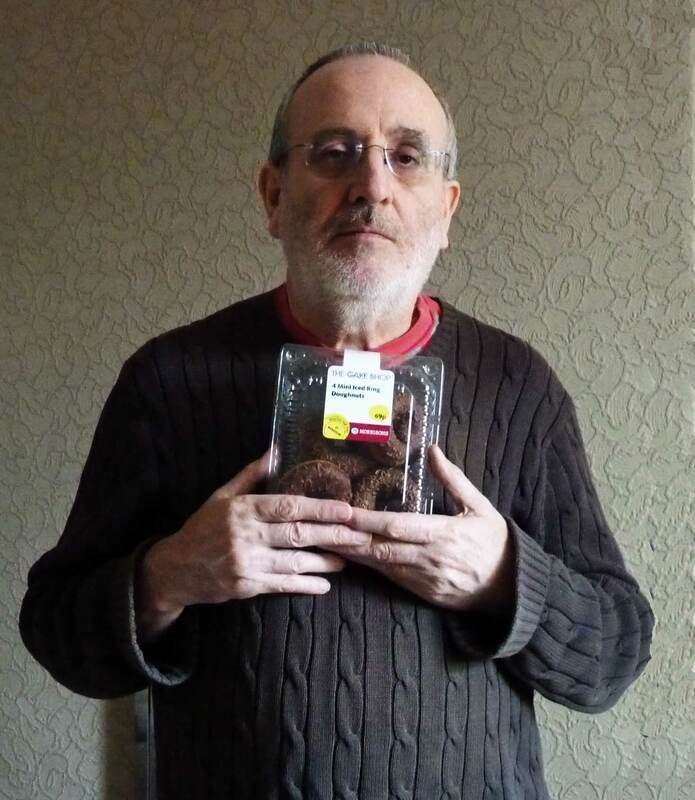 And last but not least… Ian was a Morrison’s scratch card winner. His prize? 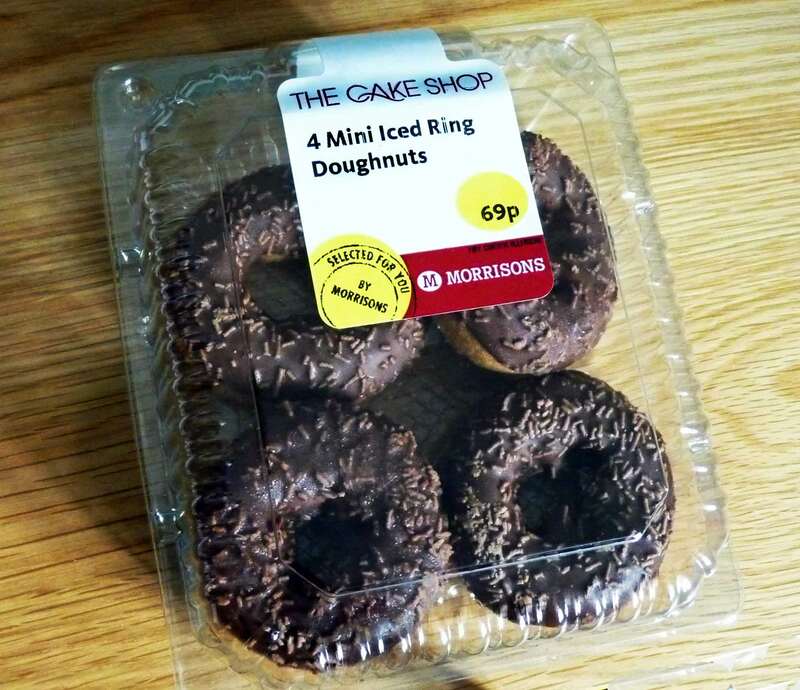 Four iced doughnuts! Well, that’s a good reason to be cheerful, isn’t it? Not for Ian though. He’s a vegan and the doughnuts weren’t. So all he could do was enjoy the hole in the middle. This entry was posted in Uncategorized and tagged daffodils, doughnuts, Jill Liddington, public speaking, Rebel Girls, suffragettes by Jean Davison. Bookmark the permalink. Hi Ruth, yes, it’s good to look for reasons to be cheerful and they are there to be found.